Here at Destin Water Fun we bring you all the services you need in order to fully enjoy your vacation in the Gulf of Mexico the right way. One of the special services we offer comes in the form of pontoon boat rental, since it allows you to explore the Gulf and, at the same time, enjoy the fresh air in a unique, very impressive way. Simply put, with this service we provide you the ability to access an Encore Bentley Cruise boat that you can own for as much time as you need during your vacation. The Bentley Cruise boat is one of the best ones you can access right now on the market, and it has a variety of features that provide you with the ultimate fun while on the water. 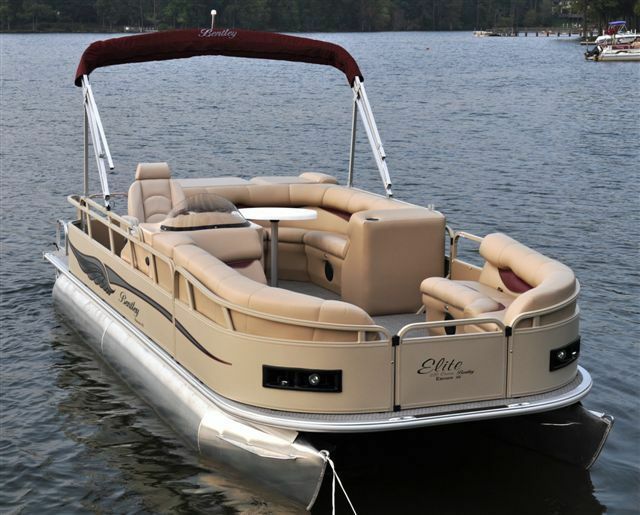 First, the boat is secure since it’s made mostly of aluminum and it also has a variety of other inserts that make it suitable for cruising these waters in an efficient manner and fast as well. At the same time, the boat also comes with a stellar, waterproof stereo and MP3 or CD support, so if you want to party while on the boat, you can easily do that without any hassle. The fiberglass console is very durable, and so is the windshield, so you will surely appreciate the durability and appeal of the product. Rest assured that this boat also brings a wide range of other features too. You get a nice changing room, a radio as well as professional furniture that truly brings that home feeling even while you are performing the trip of your life, which is really cool. If needed, the boat also includes a sundeck, that does come in handy quite nicely at all times! As you can see, the boat you get to take in your cruise is amazing if you choose Destin Water Fun, but at the same time we also offer you the best possible prices on the market. You won’t have to pay a lot, and since the boat is quite large, you can split the cost between multiple friends. We even bring you a discount sometimes, so you won’t have to worry about the prices, instead what you need is to enjoy your time and have fun, because this is all that matters when you choose the services provided by Destin Water Fun! If you want to fully explore the Gulf of Mexico without restrictions and ensure that you get the best possible time while on the water, don’t hesitate to check out the pontoon boat rental service that we offer. Fun, inexpensive and efficient, our service always provides 100% custom satisfaction and we guarantee that you will have an amazing time without our boats! Check it out, it’s a one of a kind offer for a stellar service that guarantees you an excellent time! Call us today to reserve your fun (850) 598-4588!